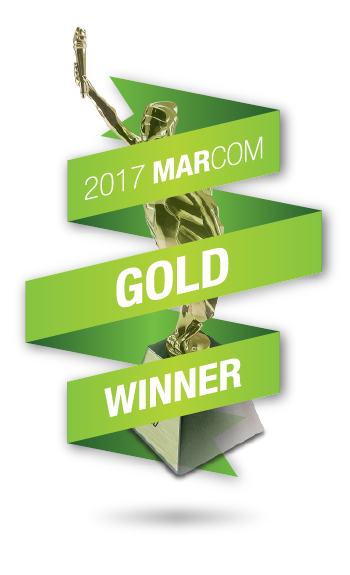 We are pleased to announce that our work has earned recognition in the 2017 MarCom Awards, an annual creative competition for marketing and communications professionals. Three of our projects were selected as MarCom Gold Winners: a fundraising report for The Midwife Center of Pittsburgh, a benefits awareness campaign for Puget Sound Military Health System, and the feature article “D-Day Through the Eyes of Combat Medic, 73 Years Later” for the Military Health System. Additionally, our 2017 National Nurses Week campaign for the Military Health System earned an honorable mention. MarCom is sponsored and judged by the Association of Marketing and Communication Professionals. A full list of winners can be found on their website. This entry was posted in News, Our Work on November 6, 2017 by Annie Brown.